6406 Race Buggy is a Town set released in 1997 as part of the Race subtheme. 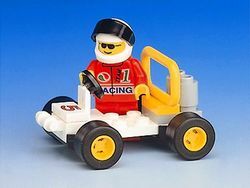 It contains a small Buggy and one driver minifigure. This page was last edited on 5 July 2016, at 16:54.